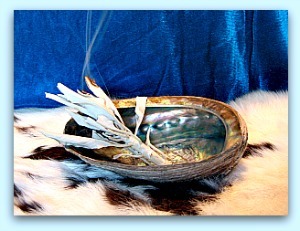 Smudging is the term for purification by the smoldering of plants or resins which possess cleansing/clearing properties. It has been used for centuries by many cultures to cleanse and purify the atmosphere of an area, people and objects. Used primarily for religious and ceremonial purposes, it is also used for house cleansing, healing, protection and meditation. 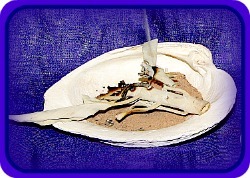 Incense use is based on the same premise as smudging. Different cultures have used various herbs, woods, resins and oils to apply their purifying properties. Indigenous people of the Americas have and do use a variety of plants for cleansing purposes based on their sacred ceremonial traditions. Their gift to us is the sharing of some of this sacred knowledge and practice. The most commonly used plants for purification is sage and cedar. The most common for invocation is sweetgrass and copal. Some people use special blends with different herbs for different smudging purposes. Do not use any plant that you have not researched first. Desert sage has become the American go-to cleansing herb for smudging. It is widely available, plentiful and is sold and promoted throughout the country. And it WORKS! It has been proven to repel positive ions which carry undesirable and negative energy. I will be referring to sage when mentioning smudging. That is what I like to use. I also burn a little cedar wood when I'm having a fire session outdoors. 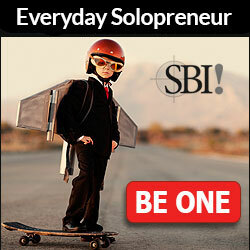 Some would say that it is superstition to adhere to this primitive practice. But these are the ones who do not understand energy work. Modern man has a lot to learn about "primitive knowledge." Today they are finding out that the ancients were much more advanced and knowledgeable than previously thought. Those working in spiritual fields have this awareness. The Medicine people say, "Sage chases away evil spirits, they don't like it, it makes them sick. 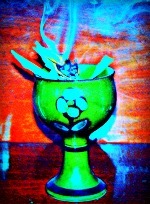 Sweetgrass attracts all spirits. That's why you use sage first to get rid of bad spirits, then you use sweetgrass to call in the good spirits." This may sound like superstition to some, but what are evil spirits if not negative energies? Positive ions cause negative thoughts and feelings. Sage "chases away" (repels) positive ions and promotes negative ions that produce positive thought and emotion, thus opening the door for the good spirits/energies. Any plants that are to be used for healing, cleansing and ceremony, should be gathered in a sacred way. Collect in a respectful manner by getting permissions from the plants (they have spirits too) and the land owners. Always harvest gently and with consideration. Make clean cuts. Leave most of the plant for continued growth. Don't take the mother plant if she is identifiable, nor the youngest. Never take an entire patch. Avoid plants that have been contaminated with chemicals or that are along heavily trafficked roadsides. Above ground plant parts have the most potency at the full moon and during the waxing phase. Wait for the dew to dry before gathering. Cleanse yourself both mentally and energetically before you set out. Ask the plant spirit of who's substance you wish to utilize, to sing to you so you will know which to collect. Explain your intention. Listen, feel, follow your intuition. Make sure you dry them out before using them. Hang them upside down to preserve as much of their potency as possible. If you plan to purchase your plants, make sure you get them from a reputable source. You can call the company where they originate and ask how their plants are gathered. If they think you are lulu, it's probably not the best place to get them. Have a container to catch any falling ashes. Shells and pottery are often used. You can use most any vessel that you have an affinity for, even metal. Just be sure it won't melt or burst! You may want to put salt or sand in the bottom of your smudge pot to keep it from getting too hot and to enable you to extinguish your sage if needed. After getting your sage going, blow out the flames so you get a good stream of smoke. If you don't get enough smoke, light it again and let it burn a few seconds before blowing it out. Smudge yourself first. Start at the heart and move up and over the top of your head. Breathe deeply as you give thanks for the cleansing energy that is surrounding you. From there go over your entire body so that the smoke can reach all parts of you. Cover your back and neck, behind knees, under arms, palms of hands and under your feet. Be thorough. You can get someone to assist you, but they will need to be cleansed too. You can also set your smudge pot with the smoldering herbs on the ground while using a hand held fan to direct the smoke over your body. You can simply hold your feet over the smoldering pot. If there are to be any other people involved, everyone needs to be saged. If you are using any items in your proceedings, they will need to be cleansed as well. When smudging an area, house or room, you may need a hand held fan to direct the smoke and to make sure you get into corners, nooks and crannies. Many people use a special feather or feather fan for this purpose. You can also blow the smoke where you want it to go. Affirm or use prayer as you go to assert your intentions. It is recommended that you leave an opening such as a window to provide an outlet for the unwanted energy to depart. Begin and end every cleansing session with a prayer of thanksgiving to express your gratitude. This creates a complete circle. To keep purified objects, like any healing or ceremonial tools you might use, cleared of unwanted energies, you can store them with sage or cedar or keep in a cedar box. Make sure that you extinguish your smudging materials completely when done. Do not leave unattended while smoldering. Keep smudge away from flammable substances and materials. Allergic reactions are rare but can occur. Discontinue use if any breathing problems or other concerns arise. Make sure you have adequate ventilation during smudging. Do not use around small children, infants or anyone with respiratory problems. Always use with a clean heart and good intentions.